The previous web pages explained the evolution of RTBI, and the various technologies that have been used over the years to achieve it. Of these technologies, data replication is by far the most flexible, least disruptive, and easiest to implement. The HPE Shadowbase product suite provides the transactional replication needed for effective real-time business intelligence systems. These products also provide the infrastructure necessary to implement continuous availability architectures, including the HPE Shadowbase real-time data replication engine and the HPE Shadowbase Online Loading (SOLV) copy utility. 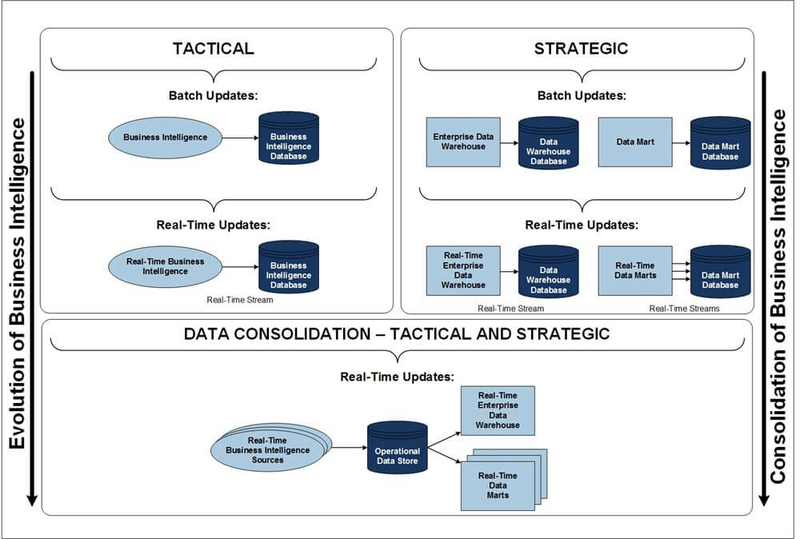 Figure 1 shows the evolution of the operational data store (ODS), from its early stages (top of the diagram) to present day data consolidation (bottom of the diagram). In its early stages, an ODS consisted of separate tactical and strategic systems, populated via periodic batch updates. These systems evolved into real-time systems, with ODS data being updated as it was changed on source systems. Separate tactical and strategic systems existed with multiple ODS databases; no single consolidated view of the enterprise existed. At the bottom of the figure, data from all of these multiple ODS sources is consolidated in real-time, into a single true ODS, which drives all of the tactical and strategic decision making across the enterprise. The Shadowbase data replication engine provides high-speed data replication among a variety of databases and platforms. With a history in the decades and hundreds of large, high-volume, mission-critical, enterprise-class installations worldwide, the Shadowbase engine is a proven performer and is an ideal solution for interconnecting enterprise systems with an RTBI system. Provides bi-directional asynchronous data replication, supporting active/passive, Sizzling-Hot-Takeover (SZT, also known as Sizzling-Hot-Standby), and active/active system configurations. Shadowbase synchronous data replication is also available. Is totally transparent to the applications. It requires no application modifications because it gets database changes from a transaction log or from database triggers or intercept libraries (real-time change data capture). Has no disk-queuing points, thus, replication is very rapid. Replication latency is measured in the tens of milliseconds on many systems and performance is enhanced by its multithreading capability to handle massive loads. Runs as check pointed process pairs and persistent processes on HPE NonStop systems so that it survives hardware and software failures. On other systems, its processes run as persistent processes under a monitor. Guarantees the integrity and consistency of the target database even when running with multiple threads. It is configured to break source transactions into sub-tractions to enhance replay parallelism and performance. Has extensive built-in data transformation rules that are augmented by user-supplied specialized rules. Provides complete data collision detection and resolution facilities for active/active environments. Users extend its collision resolution rules with additional business rules tailored to their application’s business logic. Is heterogeneous; any supported platform and any supported database may serve as a source system or as a target system in any mix. Is easy to manage with its AUDMON process monitor, its AUDCOM command interface, and its Shadowbase Enterprise Manager (SEM), a Windows GUI that provides integrated command and monitoring support for its components running in a heterogeneous environment. Many HPE Shadowbase installations around the world are active/active, geographically distributed systems. These systems achieve availabilities in excess of six 9s (less than thirty seconds per year of downtime). Shadowbase replication provides two functions in an RTBI environment: it synchronizes the operational systems with the RTBI system and ensures multiple RTBI systems surge on, via an active/active or Sizzling-Hot-Takeover configuration. Running an RTBI system as an active/active system simply requires that the Shadowbase engine replicates database changes between the two geographically separated RTBI systems. If one system fails, the other system is immediately ready to take over the RTBI services. With an active/active RTBI system, it is fair to say that the effective uptime of RTBI services is measured in centuries. Another powerful feature of SOLV is inherent in its architecture. Since SOLV is not a utility separate from the HPE Shadowbase replication engine, it uses the Shadowbase replicator to move data from the source database to the target database. As a consequence, SOLV uses the same data transformation rules during the copy function that the Shadowbase engine uses during later data replication. This function avoids the problem of trying to conform the copy transformation rules with the replicator transformation rules so that both perform exactly the same. Rules are implemented only once because the same code is then used by both the load engine and the replication engine. 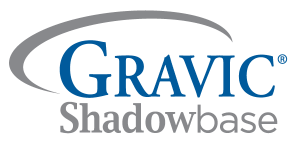 Shadowbase Streams, another member of the Shadowbase product line, streams data generated by one application to other applications and facilities as well as target database environments. Shadowbase Streams for Data Integration and Application Integration provides the facilities for integrating existing applications at the data or event-driven level in order to create new and powerful functionality for the enterprise. Part 2 – What is Business Intelligence?